Flyer highlights public transport – are Coalition MPs starting to get worried? YEARS ago, it might have been strange to think the fortunes of a government could rest on a suburban railway line. That was before the last Victorian election, when the Frankston train line became a potent symbol of the Brumby government’s transport woes: overcrowded carriages, ageing infrastructure, myki cost blowouts. Labor hardheads call it the Frankston Train Wreck – that fateful polling day in 2010 when voters in the sandbelt seats of Frankston, Carrum, Mordialloc, and Bentleigh helped install the Baillieu government with a cautionary tale: a bad transport system loses votes; the pledge of a good one is a game-changer. If you were an MP in one of these seats… the most marginal seat in the state in fact (and the one that ultimately decided the election), halfway through your term, and it was widely recognised that what swung voters was dissatisfaction with public transport, yet those at the top of the parliamentary tree were prioritising roads instead (contrary to their election promises), and there was continuing speculation that public transport having been your ticket to victory last time might be your downfall next time, what would you do? Maybe you’d issue a seasonal card emphasising some good things about public transport, like free Christmas Day and all-night New Year’s Eve public transport, extra Nightrider services, as well as a new taxi sharing scheme? 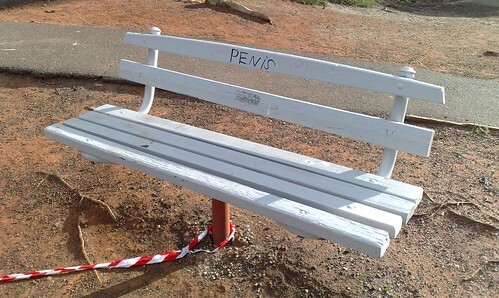 Before Bentleigh electorate residents get too excited about the wonderful PT upgrades the government has provided, there is a catch of course. Free Christmas Day and all-night New Year’s Eve public transport is a nice gesture. All-night services on NYE have been provided since 2004-5 (after the then Labor government was thoroughly embarrassed by the lack of it the year before). It’s probably free on NYE for practical considerations. Free rides on Christmas day probably result in little revenue lost, though many pack onto V/Line trains for free rides to the regions — to full accommodate demand may cost a bit of money. Perhaps instead it should be a token amount for charity, to discourage too many free-loaders? The extra Nightrider services do indeed boost capacity and cut waiting times, with Frankston-bound buses up to every 15 minutes on Friday and Saturday nights before Christmas. But these run down the Nepean Highway, only within reasonable walking distance of a fraction of the electorate. In extreme cases it might take you well over an hour to walk from a Nightrider stop to a home in the eastern part of the electorate. Arguably what Nightrider really needs is a recasting of the route structure, to better follow the busiest daytime routes (eg rail and tram lines, preferably while not adding too much to travel time) and provide a network that people actually understand. Taxi sharing is an interesting idea, with a flat rate to share a maxi taxi on Friday and Saturday nights. It’s so new it’s unclear if it’ll really solve the problem — which is a lack of after-midnight mass transit in a busy city, especially on Sunday to Thursday nights. The flip side of Ms Miller’s card is asking for feedback. I’ll send mine in. To my mind, the two priorities in transport would have to be bringing the 703 up to proper Smartbus standards, and building Southland station. I’m very transport-focussed, of course. What non-transport issues need state-level attention in Bentleigh? Does the MFB/CFA boundary need revising? The Victorian Government is pushing ahead with reform in emergency and disaster management. I can’t say I know a lot about it, but one reform that I’ve long thought they should consider is a re-drawing of the Metropolitan Fire Brigade/Country Fire Authority boundaries. My understanding is that — in contrast to “typical” regional CFA stations staffed by volunteers, the suburban stations are run similar to the MFB, with largely paid workforces. Surely it would make sense to reform the boundaries, and bring all urban fire fighters and facilities under the MFB, with the CFA specialising in regional non-urban areas, and training and equipping their volunteers? Or is that all too simplistic? The other one that’s similar is the metropolitan taxi zone; some parts of Melbourne are off in a separate zone, which apparently makes life difficult for some. We might find out if this is set to change when the Taxi Industry Inquiry report is released by the government — expected later today. The draft report did talk about zone reform. A fire in Springvale, to which the CFA responds. C’mon, Springvale. What is this, 1960? East of Westall Road isn’t paddocks anymore. 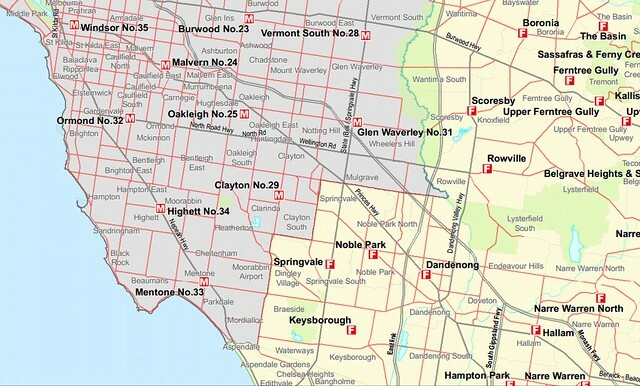 Surely it’s time to re-draw the MFB/CFA boundaries? The metro/country taxi boundaries are similar, aren’t they? Time for an update. Odd. I found a quarterly magazine that retails for $7, but is $44 per year by subscription?! What’s with those fake Tintin t-shirts? “Tintin in Vietnam”? They’re not even taking the mickey out of the characters, they’re just making stuff up. Why? Finally… if you get the opportunity to speak to the world, don’t waste it. Use your canvas wisely. Aim to impart great knowledge. Communicate your ideas to make society better. Say something meaningful.